HOME BLOG GALLERY RAVINGS Q & A Book Your Event! When someone tells me they just got engaged, I usually end up doing my own little happy dance because I find it hard to contain my excitement! Now take that to a whole new level and imagine how thrilled I was when my little sister told me her big news! I bet you can guess who was her photographer for her engagement session! 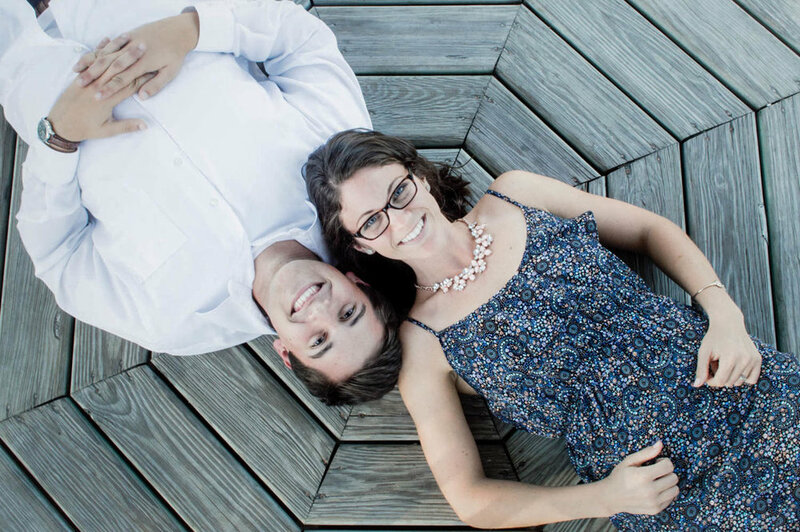 As high school sweethearts, Laura and Matt definitely showed the camera how much they care about each other. I’ll never forget one moment halfway throughout Laura and Matt’s engagement shoot when I got asked by Laura if they could kiss for some of the photos. As her sister I had never witnessed them kissing before, and she wanted to make sure I was comfortable with it. It was a very unforgettable “younger sister-older sister” kind of moment. Of course I told her to go right ahead, and those turned out to be the best shots of the whole session! Looking back now, I’m beyond grateful for the opportunity to share in the excitement of my sister’s engagement, and the memories we made during her photo shoot will remain with me forever.